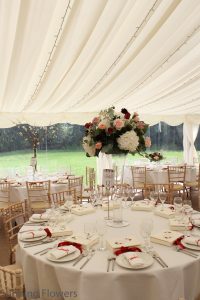 The marquee sits beside a river within the grounds and has windows overlooking the river, island and the house. Here you can see the temple on the island, which can be used for civil ceremonies. We provided a mixture of high and low table centres, in blush pink, burgundy and ivory. The flowers included roses, dahlia, hydrangea, lisianthus, waxflower, astrantia and mixed garden foliage. At the front of the marquee is a metal archway. 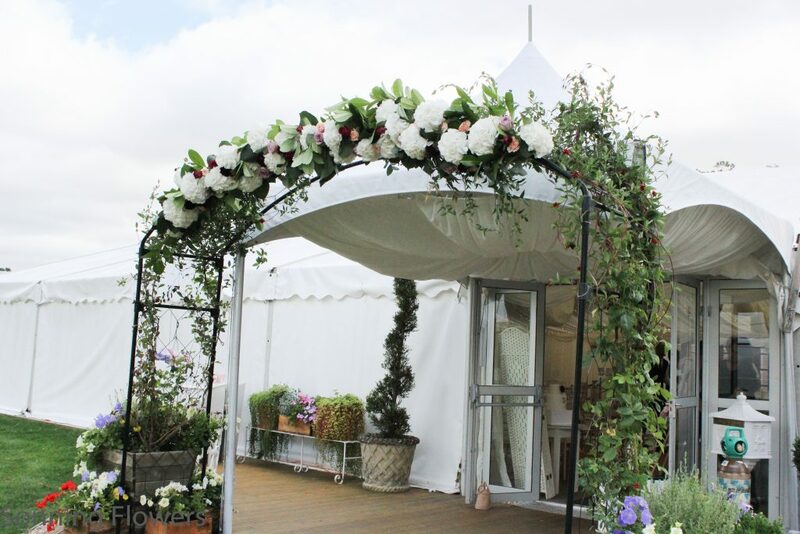 We added additional flowers and foliage to the archway, making a dramatic feature to the marquee entrance which could be seen from the house. 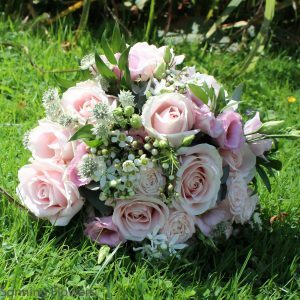 The brides bouquet was a mixture of Sweet Avalanche roses, Bombastic spray roses, pale pink lisianthus, waxflower, astrantia, oxypetalum with a little eucalyptus foliage. 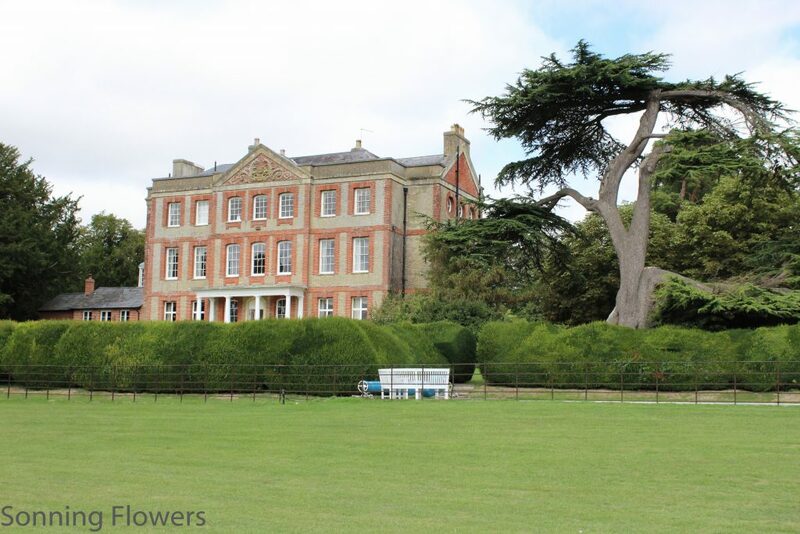 You can also follow Sonning Flowers on Facebook, Instagram and Pinterest. 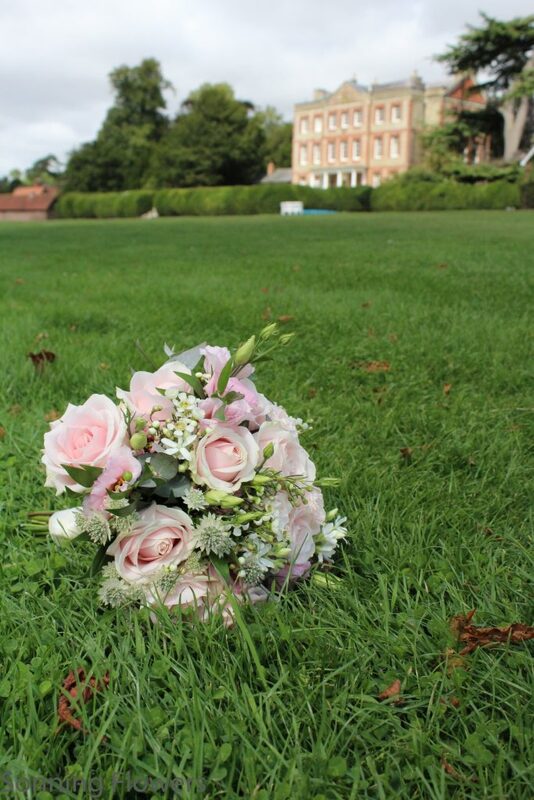 If you would like to find out more about Sonning Flowers providing your wedding flowers, why not come in for a consultation and speak to one of our wedding coordinators. Please email weddings@sonningflowers.com to arrange a consultation. Please click here if you would like to browse our Weddings Gallery pages. Sonning Flowers has been trading since the beginning of 2004 and has a good reputation for providing wedding flowers. 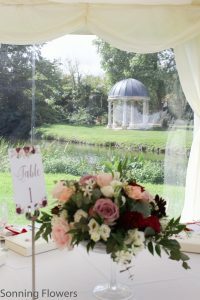 Weddings are our specialty and over the years we have worked at many venues in Berkshire, Hampshire, Surrey, South Oxfordshire and Buckinghamshire. For further information about wedding flowers we recommend coming in for a consultation, we can then look through our extensive portfolio, discuss ideas and follow up with a detailed quotation.